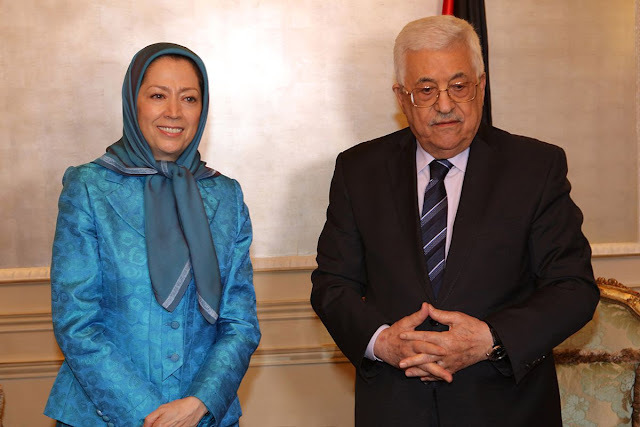 Maryam Rajavi met with President of the Palestinian Authority Mahmoud Abbas Saturday evening, July 30, 2016, and discussed the crises in the region. President Mahmoud Abbas reiterated the need to combat fundamentalism and terrorism in the region and informed Maryam Rajavi of the latest developments in the Middle East, in particular with regard to Palestine and France's initiative. 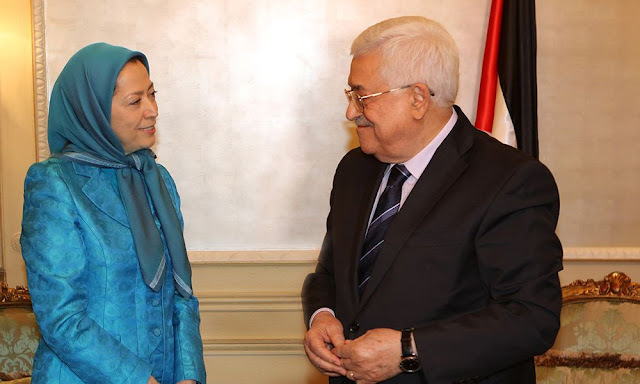 Maryam Rajavi expressed gratitude for the solidarity of the Palestinian movement and its leader with the Iranian people and Resistance. She congratulated the Palestinian government on its victories and expressed hope that the goal of the Palestinian people would be achieved. She reiterated that the Iranian regime is the main instigator of sectarian discord, fundamentalism and terrorism in the entire region, in particular in Iraq, Syria, Lebanon, Yemen and Palestine, but she added that today the mullahs' regime is in its weakest and most fragile and vulnerable state. This reality can be seen clearly in the hysteric reaction of the regime's officials and state media to the Iranian Resistance's July 9 gathering.